Systems for music, video, lights, climate and security have become more intelligent enabling you to easily operate them from a smart phone, tablet, keypad, or touch panel. Effortlessly listen to your favorite music from any area of your Summit, NJ home with a single button press or set the lights and shades to create ambiance for entertaining in your open concept kitchen and living area. From your mobile device while at home or away you can view surveillance cameras, unlock the door if your child forgets the key, or set the temperature. 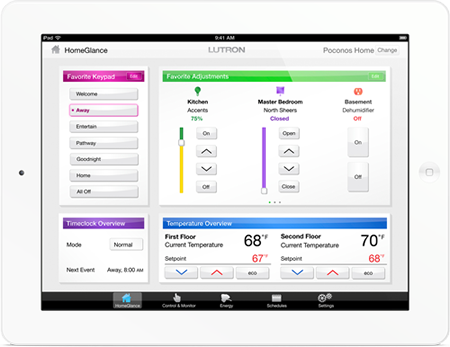 Smart home automation adds convenience, comfort, and peace of mind. It’s pretty cool too! 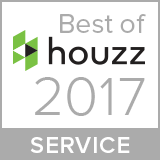 Solutions available for new construction and existing homes. 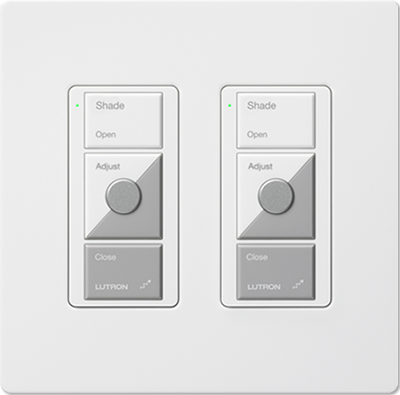 Custom-tailored lighting control allows you to change the mood of any area of your Mendham home to suit the occasion. Whether watching TV, dining or entertaining, one press of a button can create the ideal atmosphere you desire. For example, press ‘Goodnight’ to turn all your lights off or ‘Pathway’ to light the way downstairs. Smart lighting control also contributes to a safe environment by linking with the security system to turn all lights on if uninvited activity is detected. Lighting control systems save energy. New construction or upgrade - let us create a lighting solution perfect for you. With motorized window treatments you can easily adjust the amount of daylight in your Summit home to increase comfort, save energy, and protect interiors. Motorized shades and drapery transforms harsh glare into soft pleasing light, enhances privacy while preserving exterior views, reduces solar heat gain, provides UV protection of expensive furnishings and artwork, and provides the ability to change daytime into nighttime for restful sleep with the simple press of a button. Clients and designers have hundreds of window treatment fabric and color options available to compliment any décor. Home audio distribution systems send music to any room in your Mendham residence via a central processor or matrix switcher. The days of a volume knob on the wall are long gone. Control of your music is simple and intuitive by means of a touch panel, keypad, handheld RF remote, iPad® or similar Wi-Fi smart device. Whether the speakers are placed in the walls, ceiling, bookshelves, shower or pool, they can be designed to aesthetically blend in to minimize visual impact. In fact, if you can’t get wires to a location, no problem. We have wireless solutions that enable you to enjoy your music from anywhere. 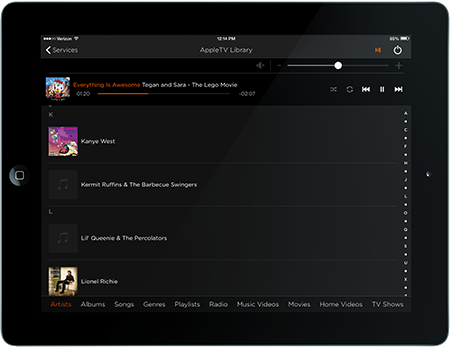 You’ll need fewer components since a single music server or a Pandora station from your smart phone can be shared in one, several, or all the rooms of your home. A network is a home’s central nervous system for all communications and control. We’ll help install a solid and reliable foundation that’s robust for today’s technology and for tomorrow’s. We will work with you to find a complete home network installation solution that satisfies all of your system needs including your TV, telephone, music, security, control system and mobile devices that are connected on the network in an Alpine smart home. A high-speed and secure network provides the functionality and protection you desire. With high-definition home security cameras in and around your Alpine residence, you can monitor activities real-time whether you’re in the house or halfway around the globe. Receive live video streams of entrances to see who’s at the door, interior areas, the perimeter, or even check on the kids playing in the pool all from the same touch screen that controls your home entertainment system or from your smart mobile device. Camera types include pan-tilt-zoom, covert, long-range, nanny cams, and more. Activity is documented on a digital recorder so you can play back at your convenience.